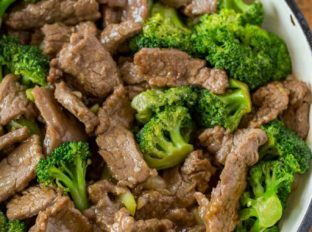 Beef and Broccoli better than takeout while still being a healthy Chinese food option with flank steak and broccoli in less than 30 minutes! 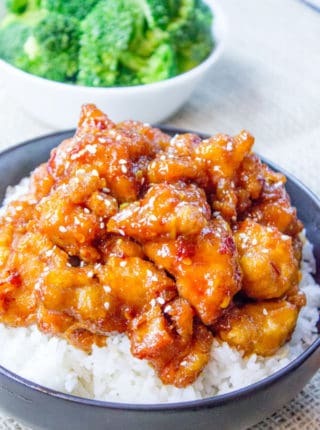 Remaking the Chinese food classics including General Tso’s Chicken, Orange Chicken and Lo Mein and Mongolian Beef are fan favorites and this Beef and Broccoli is soon to be on your short list too! 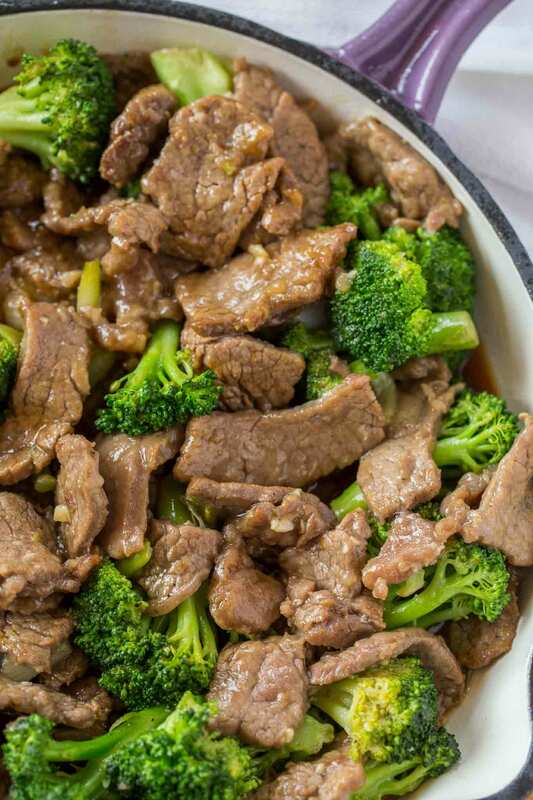 We do have Panda Express Beef and Broccoli copycat recipe on the site but this recipe is different than that recipe and more like your local favorite restaurant. What’s the difference? 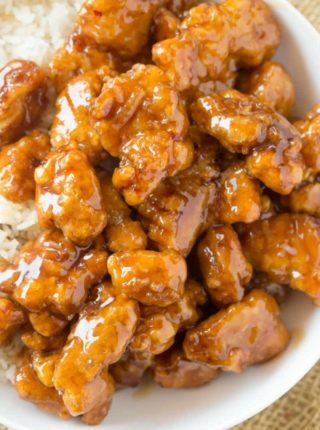 Well in a more classic restaurant setting you’ll find more oyster sauce, less brown sugar which Panda Express uses for depth of flavor that’s less expensive than oyster sauce. If you’re looking for more Asian favorites made with beef you may also like Beef Teriyaki, Ground Beef Teriyaki Ramen or a completely new Asian fusion recipe of Korean Beef Sloppy Joes. 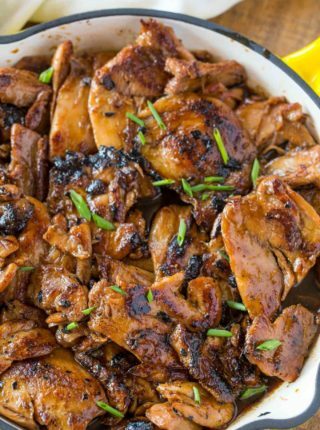 Much of the Asian recipes we love are made with chicken because cooking with beef can be intimidating or costly. Some ways to combat this are to shop on sales. When flank steak is on sale buy the 1 pound. Then if you want to make the slices even thinner than you think you can cut, add the beef to the freezer for one hour. When the beef is partially frozen (you should still be able to push in on the beef with your finger) you can take it out and slice much thinner slices against the grain. In addition to cutting really thinly you can double up on your vegetables. In this case double the broccoli is great (make more sauce too!) but you can also add in carrots or zucchini to add bulk without adding more beef. Get the pan or wok nice and hot because you’ll only be cooking the meat for 1 minute on each side. Do not crowd the beef in the pan even if that means cooking in batches. If you crowd the pan the beef will steam instead of sear. Do not leave the beef in while the sauce reduces, this will make the beef very tough. The best cut of beef for beef and broccoli is flank steak. Hands down, no need to test otherwise, in Chinese restaurants around the country they’re using flank steak. The most important thing about the recipe is the beef. 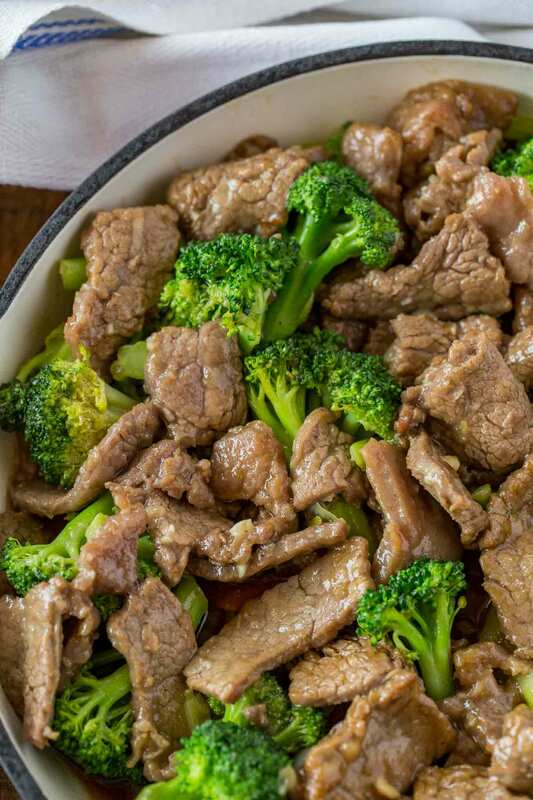 If you use the pre-cut stir fry meat or any tougher/leaner cut of meat you’ll end up with a chewy beef and broccoli. No amount of delicious sauce is going to save tough meat. If you’re looking to make the beef even more tender I highly recommend a longer marinating time. I call for 15 minutes in the directions but I always just leave it overnight. Then drain the beef really well (I leave it in a strainer over the bowl of marinade while I get all my other ingredients and the pan ready before cooking. This minimizes the amount of liquid in the pan. In a wok add canola oil on high heat and add in half the beef and cook for 1-2 minutes on each side before cooking the second half of the beef another 1-2 minutes on each side. Add in the garlic and ginger, stir and cook for 30 seconds and pour in the marinade and broccoli, cover and cook until the sauce thickens before adding the beef back in to coat with sauce. This is simply delicious. Only change I made was I made extra sauce. Do i add the cornstarch when marinating or just when thickening the the marinade after? It gets added to the marinade. Enjoy! 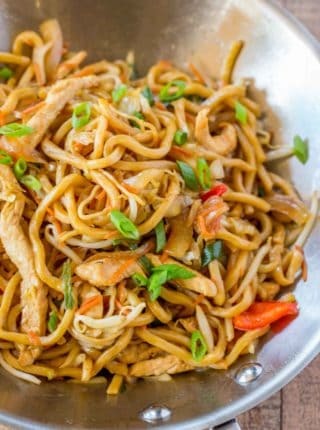 It will change the flavor of the dish but you can substitute soy sauce for it in a pinch. Is there a substitute for the sherry? You can use any red or white wine or if you’re looking for a non alcoholic alternative, you can use rice wine vinegar. Hope this helps! I made this recipe and it was delicious! My only problem was that the marinade was very thick so I had to add some water to it when I was cooking the broccoli and when I added the beef. Flavor was super yummy! I will make it again! 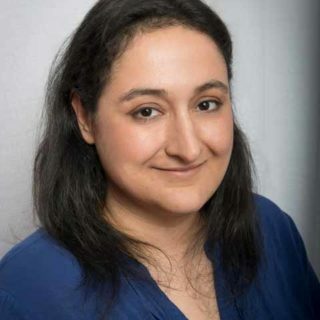 Marie, when making beef and broccoli or any sauce I use a bit of broth instead of water. They have no sodium, low sodium or regular. Also beef, chicken, vegetable. Hope this helps. Love finding delicious recipes that I can whip up in a hurry! Pinning for later! You can never have enough quick dinner ideas! I love ordering beef and broccoli but I’ve never made it at home. This recipe sounds perfect! This classic recipe is so easy to make at home – thanks for sharing the recipe! My family is going to LOVE it! Oh my goodness I love beef and broccoli! Thank you! 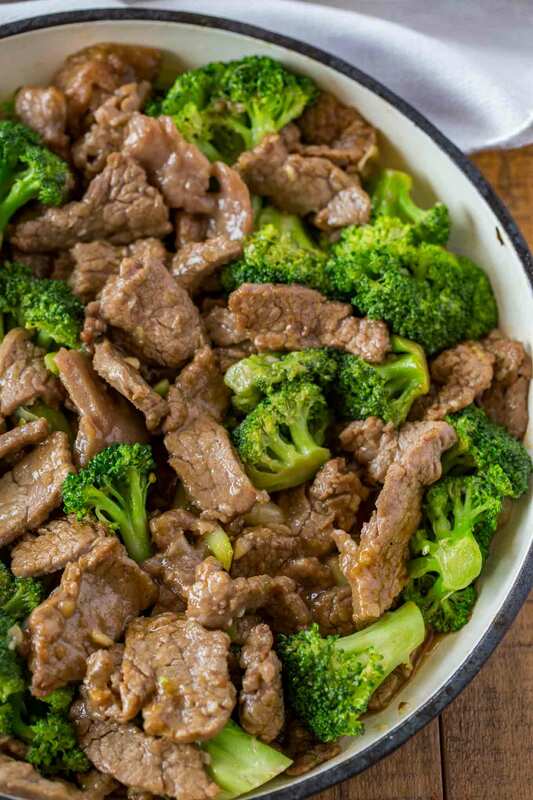 Beef and broccoli is one of my all time faves! It’s such a great classic dish!